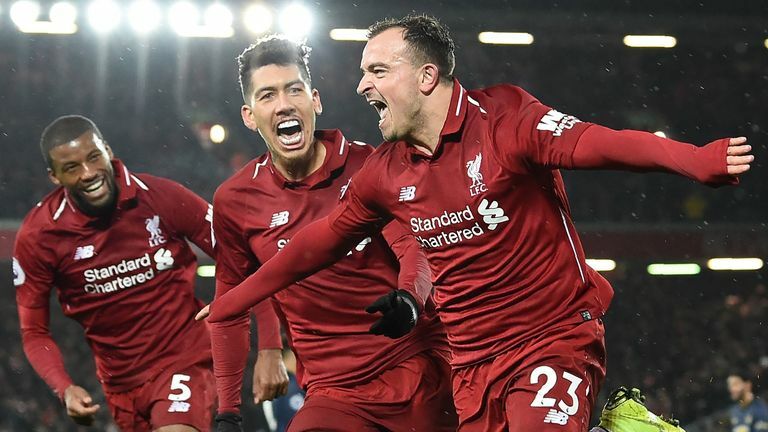 Xherdan Shaqiri came off the bench to make an instant impact with two second-half goals as Liverpool returned to the top of the Premier League with a 3-1 win over Manchester United at Anfield. Liverpool took a deserved lead through Sadio Mane's neat control and finish from a fine Fabinho assist (24), but Alisson was at fault for United's equaliser as he dropped a cross into the path of Jesse Lingard, who finished with ease (33). 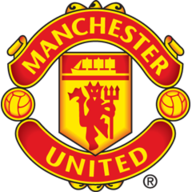 Though United improved in the second half, Liverpool regained their lead through sub Shaqiri as his shot from 12 yards deflected off Ashley Young and in off the crossbar (73), just three minutes after the Swiss had come on. Man Utd: De Gea (7), Dalot (5), Lindelof (5), Bailly (5), Darmian (6), Matic (5), Herrera (6), Lingard (6), Rashford (6), Young (6), Lukaku (5). Shaqiri scored again just seven minutes later with another deflected effort from 20 yards, and the result means Liverpool are a point ahead of Manchester City after 17 games. United remain sixth, 19 points off the leaders. United have now also conceded more goals this season (29) than in the entire 2017/18 season (28), while Liverpool's 36 attempts on goal against their old foes was the most by any team in the Premier League this season. It was all Liverpool during a frantic start, as David de Gea was tested early by Roberto Firmino's low effort from the edge of the box, tipping the ball away to his left. Liverpool got the goal their start deserved midway through the half as Fabinho brilliantly picked out Mane in-between the United defence, before the forward took the ball down and tucked it under De Gea. Clyne made his first Premier League appearance of the season, while Lovren was also drafted in to partner Van Dijk in central defence. 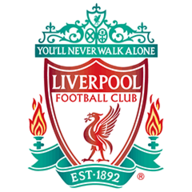 Keita and Fabinho also came in to replace Henderson and Miler, who was not in the squad. 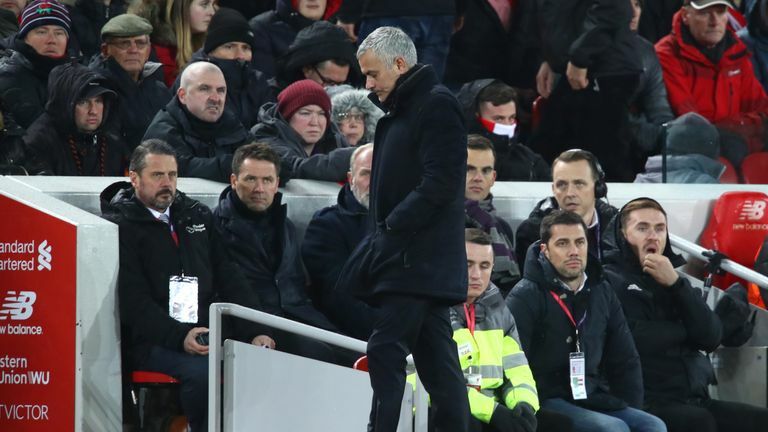 Mourinho opted to leave Pogba on the bench, while Lukaku was the only player to keep his place following the defeat at Valenica. Lindelof and Darmian also came in, replacing Jones and Mata. Smalling was injured in the warm-up at Anfield, and was replaced by Bailly. But United were handed an early Christmas present as Alisson spilled Romelu Lukaku's simple cross from the left, allowing Lingard to turn the ball home with ease from close range. Though Paul Pogba was once more an option from the bench, Jose Mourinho decided to introduce Marouane Fellaini at half-time in place of Diogo Dalot, and the Belgian proved handy in United's own box by making several important clearances from Liverpool's regular corners. After De Gea flicked away Mane's cross at the byline into the path of Shaqiri, the summer signing struck a low effort which deflected off Young and beyond the stretch of De Gea. Roy Keane: "I honestly think that if another manager came in, say Pochettino, he would say he needed some players to get United back to competing for trophies at the top level. You are not judged as Manchester United players by beating Fulham, Huddersfield and Newcastle, those teams can be beaten easily if you play for United. It's what you do against the big teams, that's where you are judged if you want to be a top player for a top football club. Manchester United have got their recruitment wrong for a few years, a blind man can see that." Gary Neville: "I'm in shock. Liverpool were streets ahead of United, absolutely streets ahead. United were awful today. They haven't got anyone in midfield that can pass a ball. Not one of them. They were hanging in there for a bit but the only real team who were going to win the game was Liverpool. It's not good enough." Jurgen Klopp: "It was a brilliant start, one of the best performances we've had since I was at Liverpool, to be honest. The first half an hour was outstanding. How we played was just perfect." 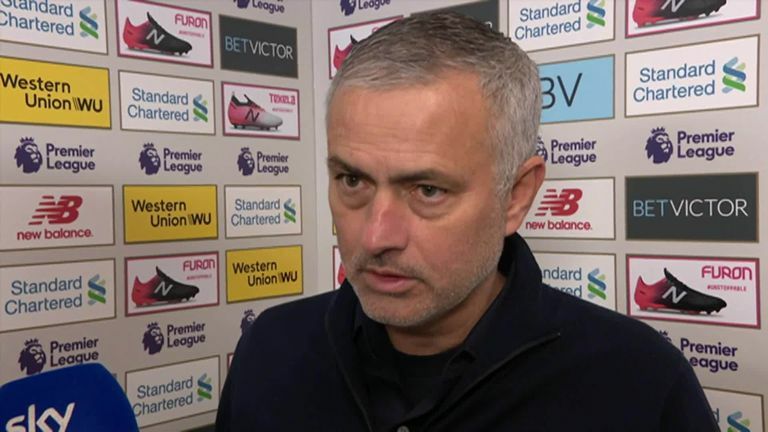 Jose Mourinho: "First of all, we have lots of problems related with physicality. We have lots of players that I could consider 'injury-prones', because some of our players are always injured. And it's not with me, it was before me. "If you look to the stats with Mr Van Gaal, and before him with David [Moyes], that period there were players that were permanently injured. When you are permanently injured, physicality is difficult to get. Then there are qualities that a player has, and doesn't have, you cannot improve and cannot make them have." Liverpool are now 19 points ahead of Man Utd - their biggest ever lead over them after the first 17 games of an English top-flight season (based on relevant points-for-a-win rules). Liverpool have recorded their biggest Premier League victory over Manchester United at Anfield since also winning 3-1 in March 2011. Manchester United have now conceded 29 goals in the Premier League this season; one more than they did in the entirety of the 2017/18 campaign (28). Manchester United have conceded 29 goals in their opening 17 Premier League games this season - the most goals they've conceded at this stage of a top-flight campaign since 1962/63. Liverpool recorded 36 shots against Manchester United - the most United have faced in a Premier League match since Opta started recording shot data in 2003/04. That's just what Liverpool need when having difficulty in breaking down sides late on. What a signing. 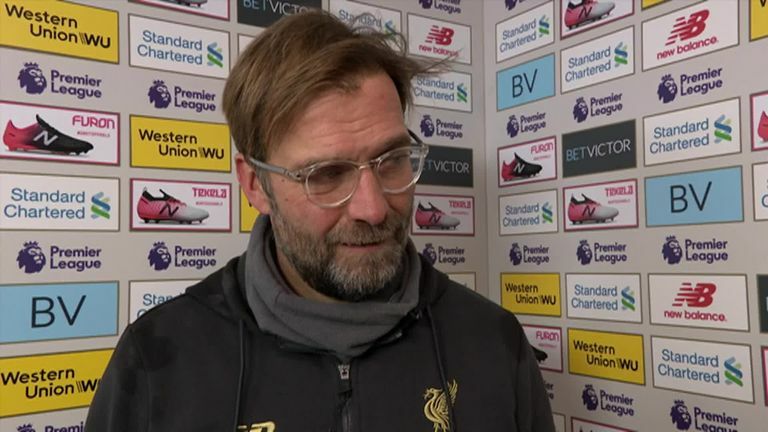 Liverpool now go to Wolves on Friday Night Football, live on Sky Sports Premier League at 8pm, while United are at Cardiff at 5.30pm on Saturday in the Premier League.